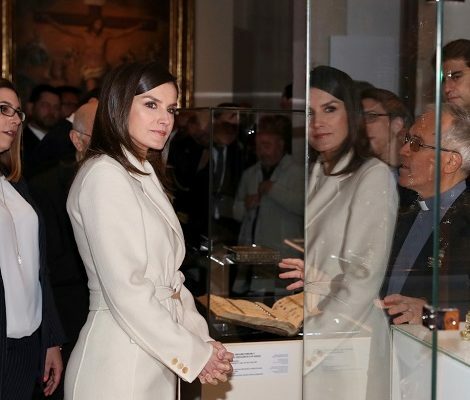 Today Queen Letizia of Spain visited the Headquarters of the Integra Foundation in Madrid. The visit was scheduled to attend a working meeting and tour the the facilities of the foundation. The Integra Foundation helps people in social exclusion and people with disabilities to take back the reins of their lives through job placement, in order to achieve their personal fulfillment through a decent job that allows them to regain their independence, their self-esteem and its sense of usefulness. The Foundation evaluates the situation of each person based on their circumstances, concerns and previous experiences and designs a customized integration itinerary based on the emotional strengthening of the person and the training in social-labor skills. Once prepared to work, they are included in the different selection processes according to their profile. Accompanied by Secretary of State of Social Services and Equality, Mario Garces and CEO of Integra Foundation, Ana Botella, Queen attended a working meeting of the Foundation in which work processes and profiles of beneficiaries were disclosed, the experiences of the companies were discussed on the collaboration with the Integra Foundation. At the end of the meeting one of the beneficiaries gave their personal testimony. After the meeting, Her Majesty the Queen attended the workshop “My first day of work” in which she was able to talk with the women participating in the workshop and with the employees of the Foundation. 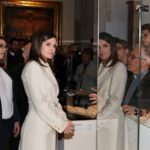 On the first day of Spring, Queen Letizia premiered a very stylish and chic look. 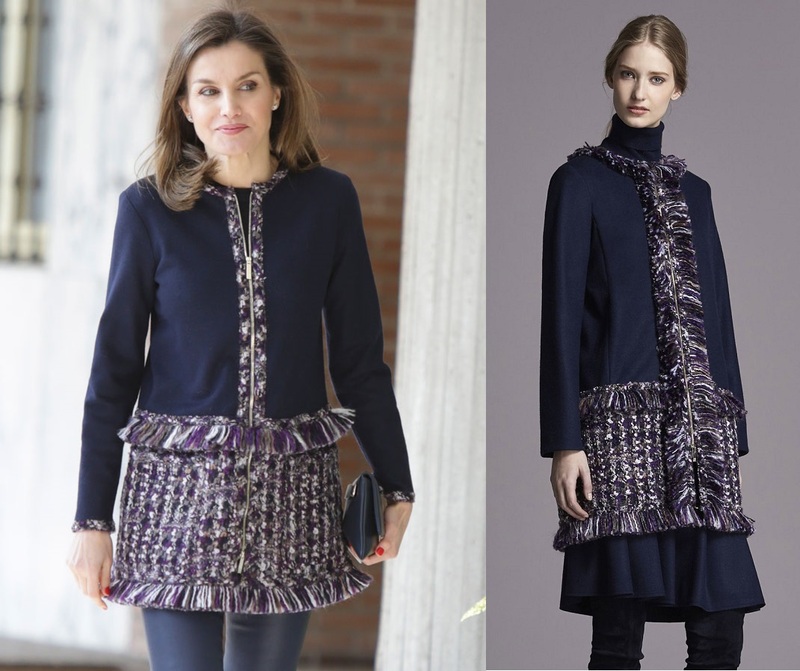 Letizia wore a new Carolina Herrera navy long-sleeved frock coat. Belonged to the label’s Autumn/Winter 2015-2016 collection, the woollen boucle material collarless coat is modified version of the original piece and features an original purple and white tweed details around the waist. 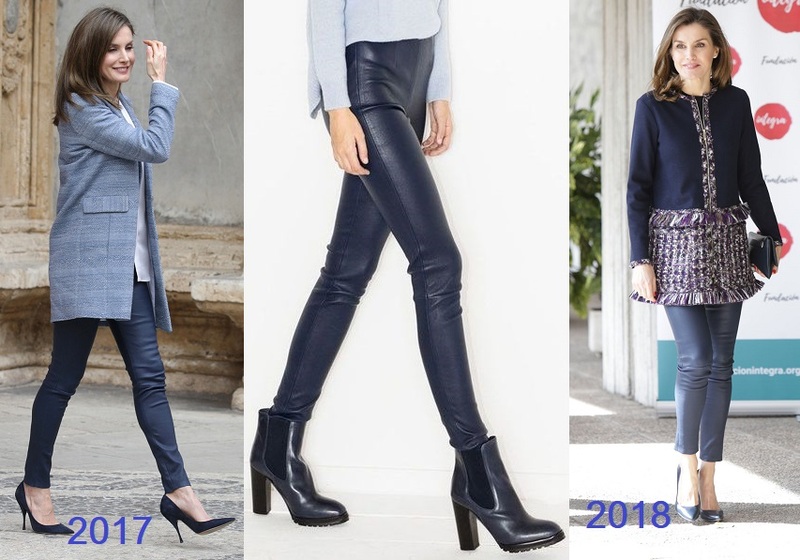 Letizia paired the coat with Uterqüe blue leather pants that she debuted on Easter Mass 2017. 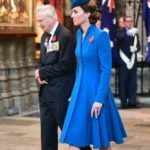 Queen teamed up the outfit with her trusty Magrit ‘Mila’ leather pumps this time in navy. 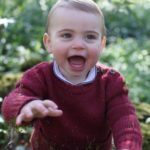 Letizia has multiple pieces of this style in different colours. Here shown in black. Letizia was carrying Carolina Herrera ‘Baret’ navy clutch. 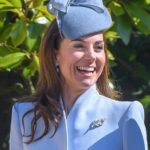 She was also seen carrying a navy scarf along with her clutch. Chanel ‘Comète’ earrings in 18K white gold and diamonds added a feminine touch to the whole look.